This lovely little town has been whispering me to be told to my little world since about two weeks ago. Actually I want to tell more about Sydney (you know I have a little bit obsession to live in that continent, honestly it’s not bit, its big obsession). 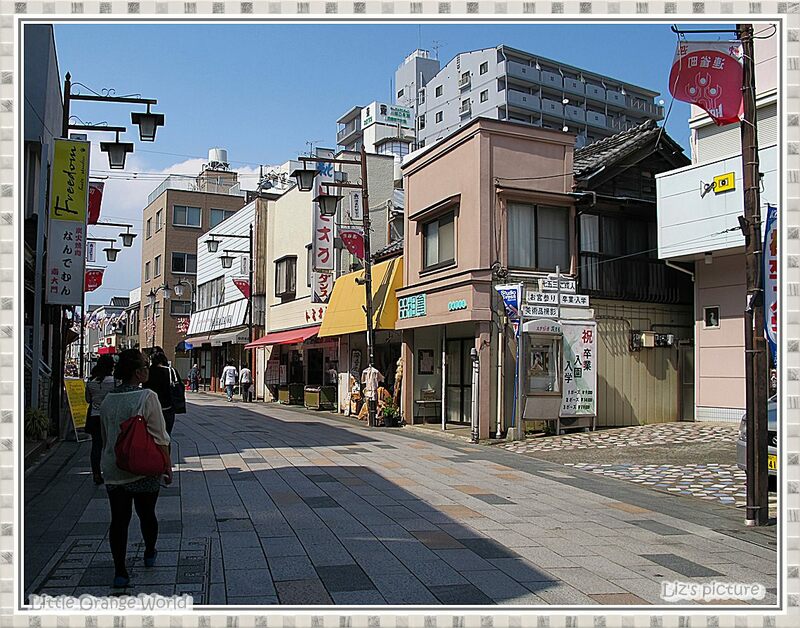 This story still from my first Japan’s trip at April 2013, and i was the one who insisted to go to this place. 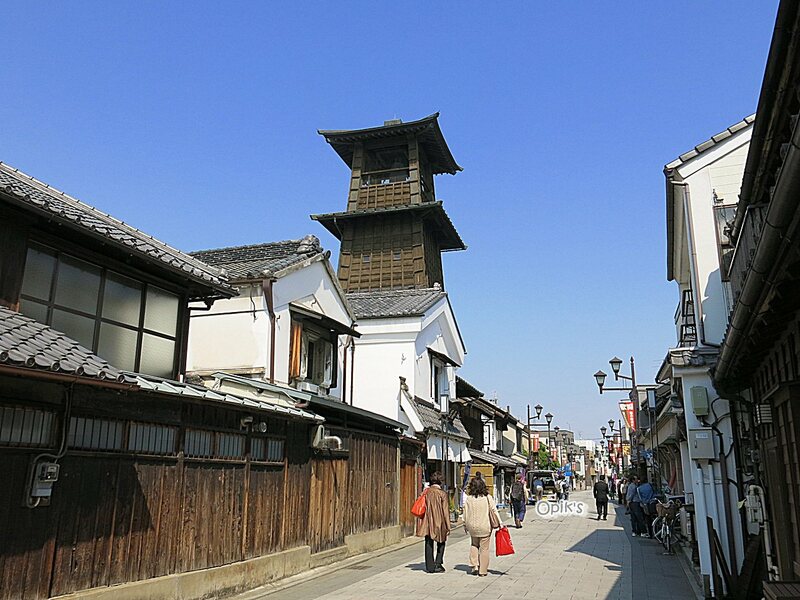 When we prepared our trip to Japan, i found the article about Kawagoe, and with all my might, i persuaded three of them to go there. And, finally there, we were. At first, i really want to say sorry to those three my travel buddies; Liz, Opik, and Bertho. When we were there, i think we didn’t enjoy Kawagoe that much because i knew exactly that those boys were allured more to see gundam and its stuff (our next destination in Odaiba) than Kawagoe, as for Liz, ehm, i think she loved city like Tokyo and Osaka more, and honestly when we first started Kawagoe trip, my light, my spirit was getting a little bit dimmed. But it’s okay, sometimes it happens when we travelled especially with different “obsession”, and thanked God it didn’t last long, we enjoyed the rest of it, and now, what is left for me is its sweet scent. 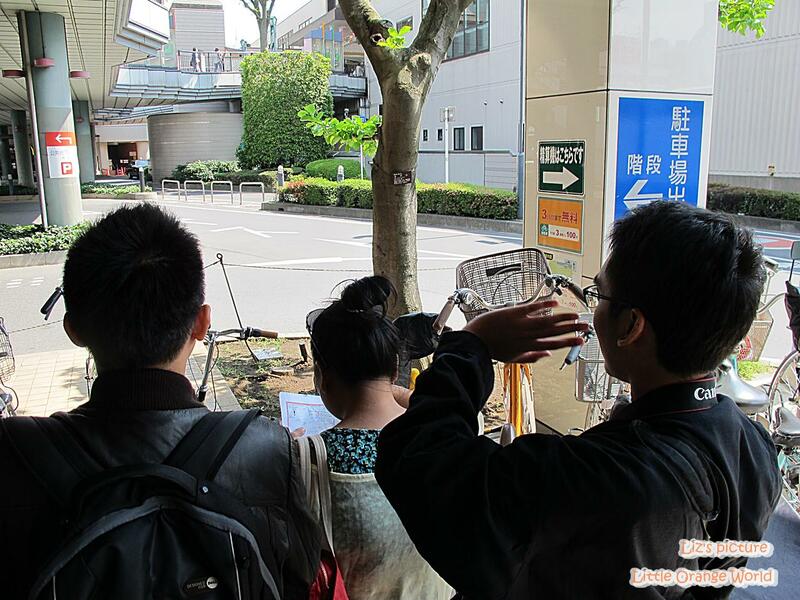 We were perplexed at first, after we hopped off train, even though we have 3 earth faculty graduated engineers and 1 planology graduated who were supposed to be so familiar, oh no, associated well with a map, we hardly admitted that we were lost. Lost if direction. Kekekeke, and after spending minutes argued and assured one and another, and asked an old man who passed in front of us with no answer because of the language barrier, we finally decided to take the widest road at the southern of our exit gate. 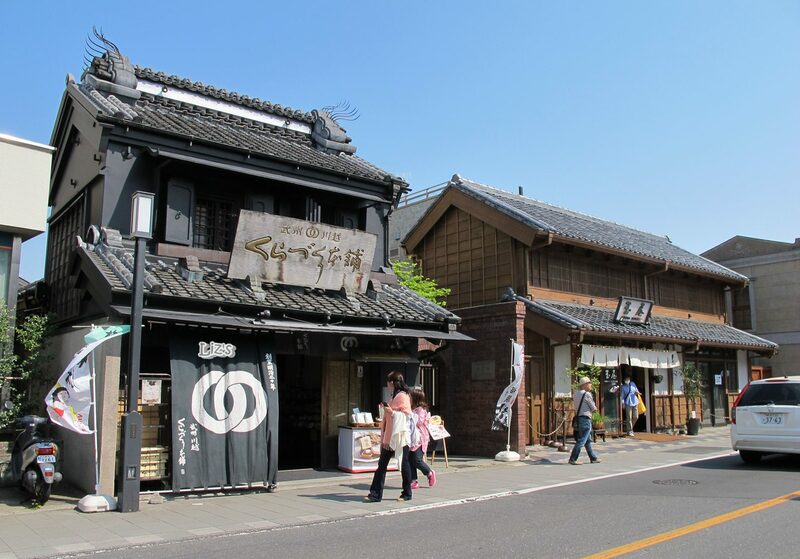 In minutes later, a glance of street shops from a far reassured us that we’d taken the right road which meant we close to our destination (as far as I’ve traveled, street shops, especially the souvenir shops, close to attraction). 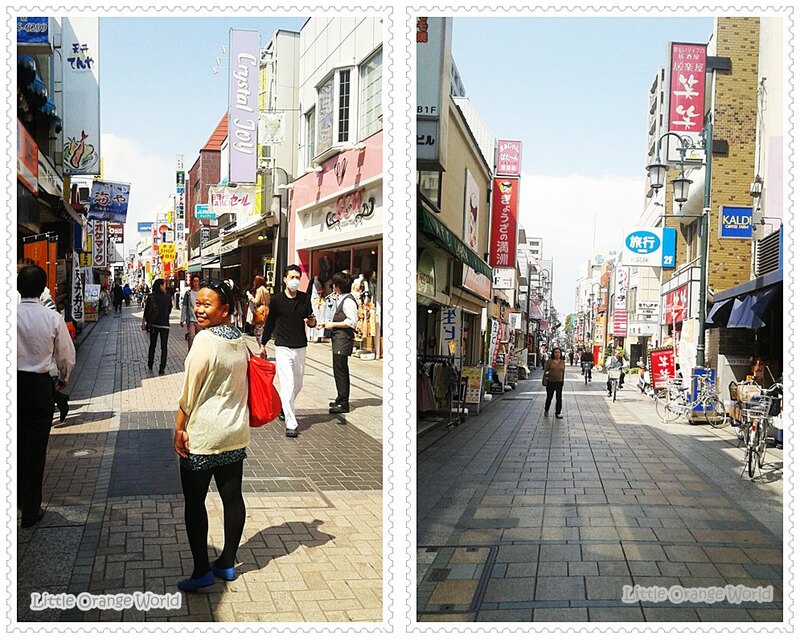 Since then, our step became lighter, and gradually the trip turned into a quirky one. 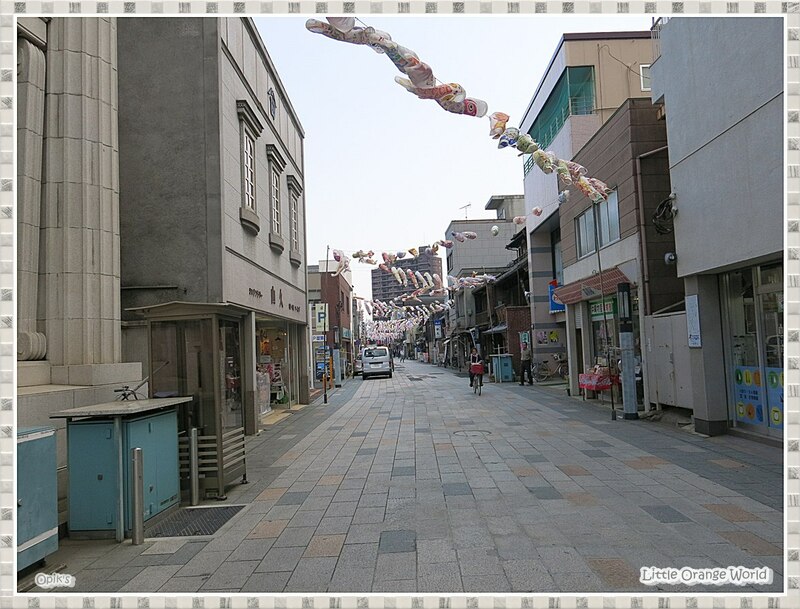 We couldn’t wash away quirkiness especially when we stepped on neat grey brick paved road that mixture of old Japanese and western style buildings which is called Taisho – Roman Street. It sent a romance feeling. As we took a further path, the road was getting amusing for me; it was decorated by rows of black and brown wooden houses. It was neat, it was so old, and it was so sturdy. I always love passing the typical road. The amusement continued until we reached the clean intersection and then met cute children in a unique stroller :D.
In minutes later, we reached the main destination, Warehouse District. It was so beautiful. I love the air and the scent it gave, it was so lovely. Breathed the air, absorbed the scent, tasted it tastes, and memorized the scene. Those were what I did, and it gave me enough pleasure, and then another memory was added. Saved. 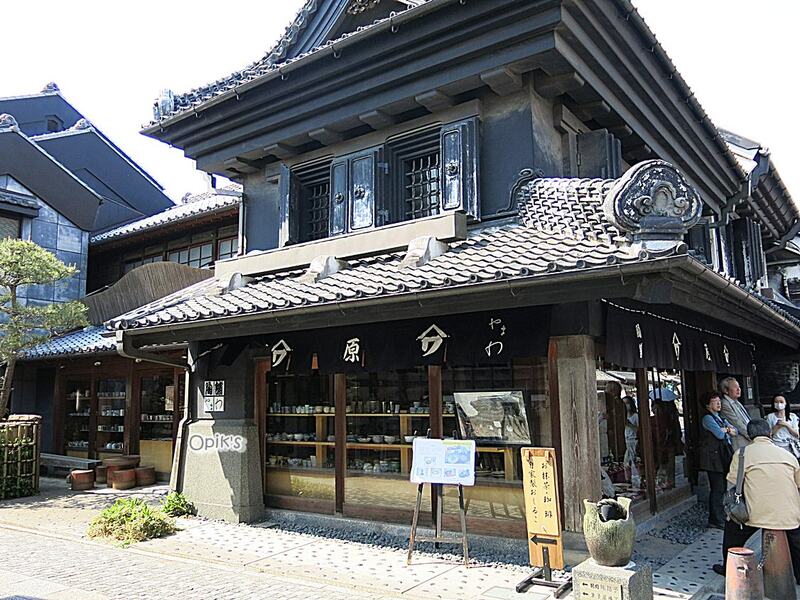 Honestly, if I had another chance to visit Japan, I’d back to Kawagoe and stay a little bit longer, feel its air, its scent, and taste its tastes again; Kawagoe. 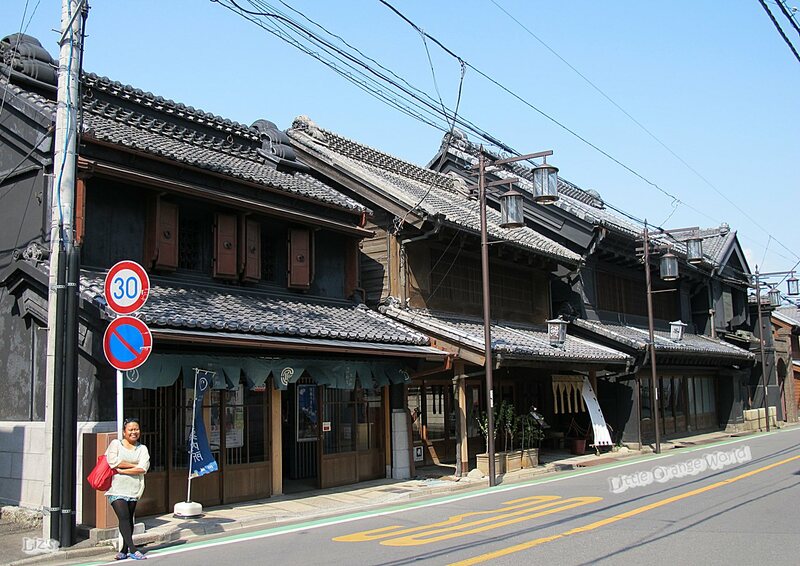 Pengalaman yang menyenangkan di Kawagoe, sekitar 30 menit dengan kereta dari Tokyo. OMG!! That stroller is so unique! Is that a mother or a child care teacher? Me too, my friend, all thanks to you!! Hehe, this has become a common scene for me; she is a child care worker. 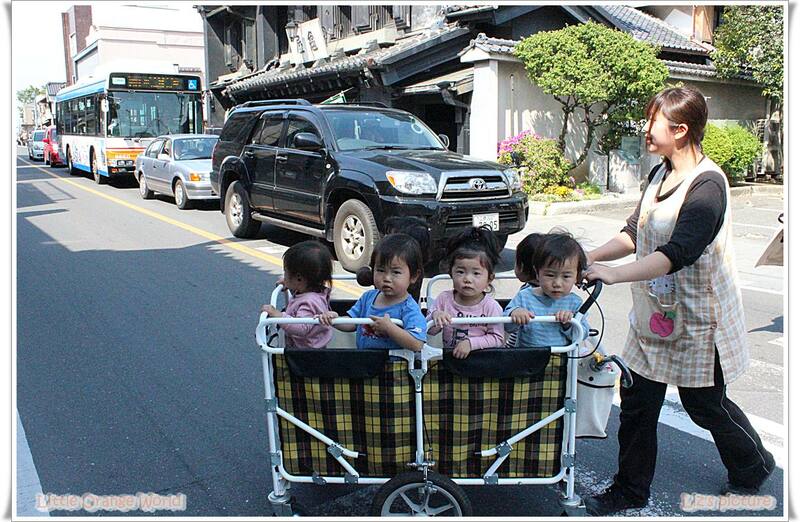 They use these strollers to bring multiple young children for a walk. They’re very handy right? Definitely!! Thank you for providing more information in this reply! love those fish flags! I saw the same kind of stroler too when i was there. i think they are for kindergarden and preschooler. Yess, they were celebrating children day (for the boys), they put those fish flag on that celebration besides so many toys and the other sculptures. Ah, you’ve been there too :)… Did you enjoy it? Thank you so much for your lovely blessings and do have a wonderful year 2014!! Been a while since you’ve last posted, hope everything is fine at your side, my friend! i have no gadget besides my phone and we were supposed to leave gadget during holiday. weren’t we? Thank you fr nice considering and how about you? everything is okay? Glad to know that you’ve just had another lovely holiday! owch, that was so bad. 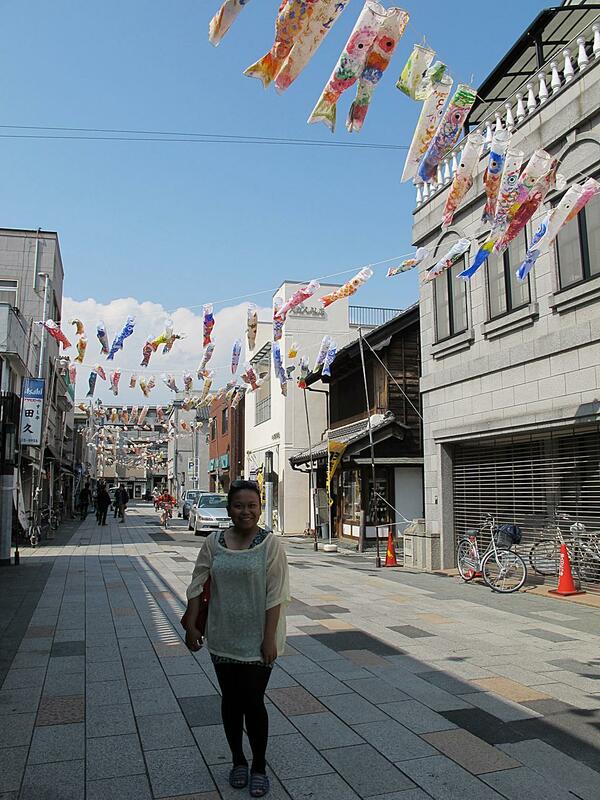 Indeed Feb, like i’ve been said so many times, if i had another chance too visit Japan, especially Tokyo, i would re-visit Kawagoe and stay a little bit longer :). 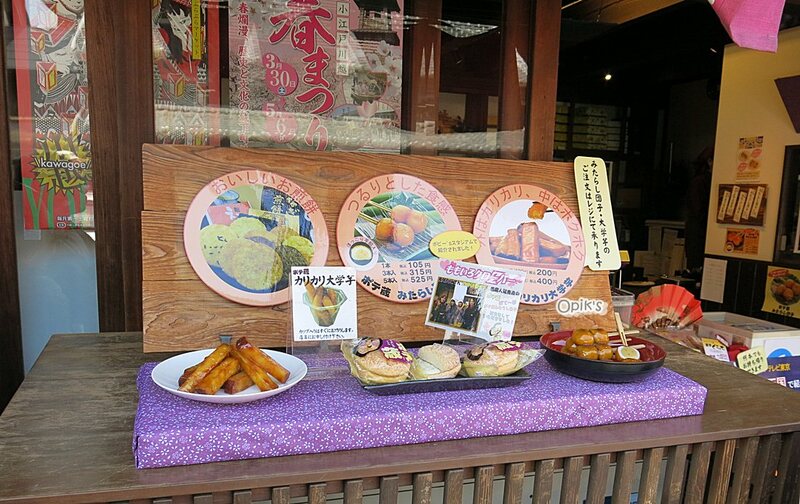 yes and you can also explore other Saitama’s gem in Chichibu. Best for nature!! LOL nope I’ve just stayed there for 3 days but so memorable. Next Next post: The Khekarian Threat – FREE on Kindle – limited time.